$19.95 Oil Changes, Only at Hoselton! We are excited to announce a new everyday low price for conventional oil changes! For only $19.95 you get: up to 6 quarts of conventional oil and the installation of a new oil filter. This offer is good on Nissan, Toyota, Chevrolet and GM vehicles at any of our service departments including Hoselton Toyota! *Plus tax. Up to 6 quarts of conventional oil. Pricing valid only on Nissan, Toyota, Chevrolet and GM vehicles. Excludes diesel. Offer not valid on Synthetic or Dexos Oil. Prior sales excluded. Not valid with other coupons or offers. Not redeemable for cash. Valid at any Hoselton Auto Mall Service Department. What If My Vehicle Requires Dexos, Semi-Synthetic or Full Synthetic Oil? We service vehicles with any oil requirements! $19.95 is the new low price of conventional oil changes. Our dexos, semi-synthetic, and fill synthetic oil changes are also competitively priced. 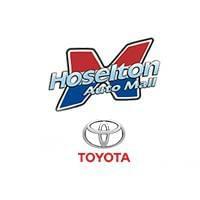 Check out our Hoselton Toyota Online Service Scheduler for ALL of our service pricing! By setting your appointment online, you will know exactly how much your services will cost! Bring your vehicle to the Hoselton Toyota Service Department and enjoy the added benefit of our comfortable customer lounges with wi-fi, refreshments and children’s play areas. We also have a Courtesy Transportation Shuttle that will bring you back to your work or home. Due to the high temperatures that your engine runs at, oil begins to breakdown with use. 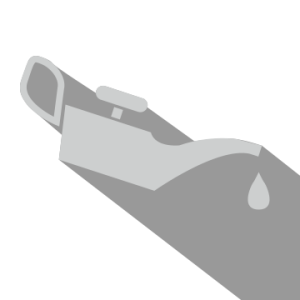 As the oil breaks down, it becomes less effective as a lubricant. The less effective the oil is as a lubricant, the more the parts of your engine are going to rub together and wear out. Changing your oil according to the manufacturers recommendations is the best way to keep your vehicle performing at it’s best! It is one of the most important maintenance requirements on your vehicle and proper care of your vehicle now will reduce costly service visits later. Serving the Greater Rochester Area since 1920! Hoselton Auto Mall began as a service garage in the town of East Rochester in 1920. This means we have been performing oil changes for over 95 years! We pride ourselves on being vehicle maintenance and repair experts while providing the best possible service experience for all of our customers. We look forward to continuing our long company history serving East Rochester, Fairport, Penfield, Pittsford, Victor, Canandaigua, Webster, Henrietta, and surrounding local areas.